Dr. Amante is a general dentist who has practiced in the northwest suburbs of Chicago for over eight years. He received his Doctor of Dental Surgery degree from the University of Illinois at Chicago, and has pursued postgraduate training in Cosmetic Dentistry from the University of Minnesota as well as advanced Implant Dentistry training. He also received his certification in Orthodontics after dental school. Dr. Amante believes that his patients deserve to have the information they need to make good choices about their oral health. He is meticulous about doing his comprehensive examination so he can come up with a sound diagnosis. He takes his time in explaining their conditions and go over the options for their treatment. He enjoys the trusting doctor/patient relationship which helps relieve the stress they feel about seeing the dentist. All of his patients are approached with the affection and tenderness that he would expect for his friends or family. His patients appreciate the conducive atmosphere to trust, which is very important with treatment acceptance and follow through. Professional affiliations include the American Dental Association, the Illinois Dental Society, the Chicago Dental Society, the Academy of General Dentistry and the American Dental Implant Association to name a few. Outside the office, Dr. Amante loves spending time with his wife Carolina and two boys, Sam and Danny. He also does volunteer work at the Care Center of the Willow Creek Community Church. He is also an avid marathoner and is more than halfway through running a marathon in all 50 states. 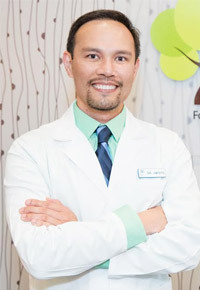 Dr. Amante is an advocate of healthy living having completed 49 marathons to date. He is well on his way to accomplish his goal of competing a marathon in every state. 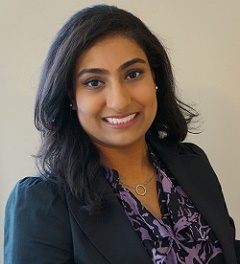 Dr. Kamal earned both her Bachelor’s degree in Biology and her Doctorate in Dental Surgery from the University of Illinois at Chicago. Dr. Kamal believes that prevention of dental disease and patient education should be a primary discussion at every routine dental visit. She strives to ease patients fears of the dentist through open patient communication and a thorough explanation of procedures. Dr. Kamal welcomes the entire family and especially loves to treat children so she can help parents and young ones learn how to properly care for their teeth. She has even spent time conducting dental screenings on students at local grade schools and looks forward to participating in other such local outreach programs. Dr. Kamal is a member of the Academy of General Dentistry (AGD) and the American Dental Association (ADA). She is constantly improving her dental knowledge base and technique by attending continuing education classes throughout the year. Dr. Kamal grew up in the southwest suburb of Tinley Park and now resides in Lisle with her husband and toddler daughter. She spends her spare time exploring Chicago and local parks with her family, loves cooking and trying new restaurants. She will be seeing patients on Mondays, Wednesdays and Fridays and some Saturdays.